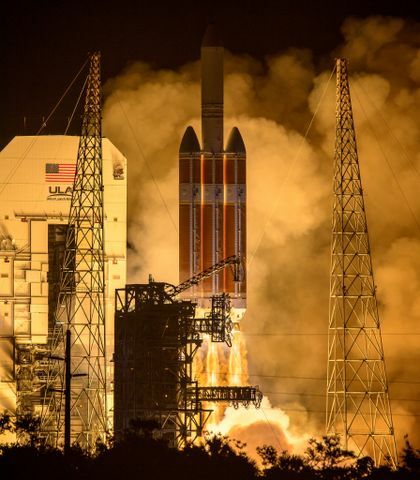 Orbital ATK and Thales Alenia Space are celebrating another successful Commercial Resupply Services (CRS) mission to the International Space Station for NASA. This Cygnus vehicle, the S.S. John Glenn, delivered 7,600 pounds (3,450 kg) to the Space Station, successfully performed multiple secondary missions after departure and disposed of more than 3,900 pounds (1,770 kg) of waste from the station, a record amount for the spacecraft. 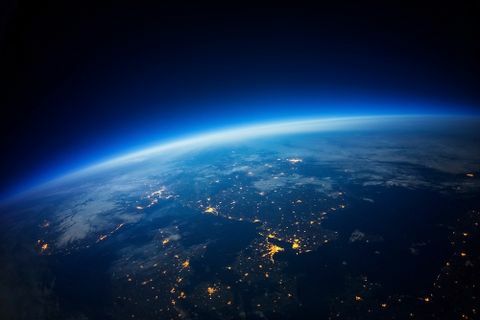 The mission was the seventh successful trip to the space station for NASA, which relies on its commercial providers to supply all of the logistics and scientific instruments needed for the important work aboard the orbiting laboratory. 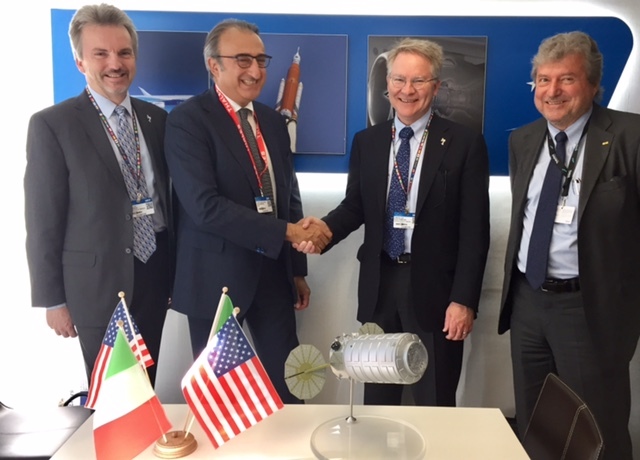 Left to right: Blake Larson, Orbital ATK COO; Donato Amoroso, Thales Alenia Space Italy CEO; Dave Thompson, Orbital ATK CEO; Walter Cugno, director of exploration and science domain for Thales Alenia Space Italy. 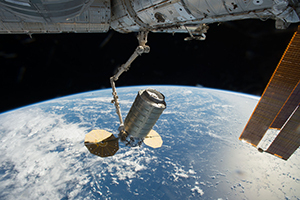 International cooperation is an important part of the operations on the International Space Station, and Orbital ATK’s relationship with its international partner, Thales Alenia Space, is at the heart of the Cygnus spacecraft and its mission success. Thales Alenia Space, a joint venture between Thales (67%) and Leonardo (33%), brings more than 40 years of experience in orbital infrastructures, playing a lead role in the construction of the space station. 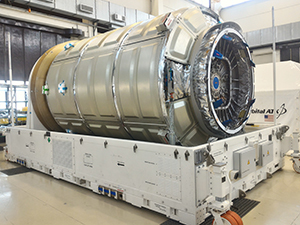 The company has supplied Cygnus cargo modules to Orbital ATK since the start of the program and is under contract to provide a total of 18 pressurized cargo modules (PCMs) to Orbital ATK. The first contract in 2009 covered the delivery of nine modules, while a second contract in 2016 provided for the construction of nine more. Eight PCMs have been launched to date, four in the original version and four in the enhanced version. Built by Thales Alenia Space, the new modules feature a lighter and more efficient design that increases payload weight and volume. The Cygnus spacecraft is composed of an Orbital ATK-built service module and a PCM. The service module houses the propulsion, power and computing capability to perform its mission and is mated to the PCM before launch. So far, Cygnus has delivered approximately 16,500 kg of cargo to the space station through one demonstration flight and seven commercial resupply missions. 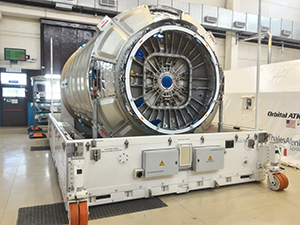 Cygnus PCM in Thales Alenia Space’s facility in Torino, Italy. Thales photos. Pending NASA’s specific cargo needs, Orbital ATK is prepared to launch two additional CRS missions this year aboard the company’s Antares rocket from NASA’s Wallops Flight Facility in Virginia. As the relationship between Thales Alenia Space and Orbital ATK grows and evolves, so does the future of Cygnus. Already, Cygnus has proven to be a valuable platform for hosting science experiments. So far, three separate Spacecraft Fire Experiment missions, known as Saffire, have been executed remotely on the spacecraft after its departure from the space station to study flame development in microgravity. Additionally, a Nanoracks deployer attached to the cargo module allows for the release of CubeSats, a miniature satellite that provides a cost-effective solution for space research. Right: OA-7 cargo module leaving the International Space Station on June 4, 2017 NASA photos. Left: Orbital ATK's OA-6 Cygnus cargo ship arriving at the International Space Station on October 23, 2016. In preparation for a future manned trip to Mars, Orbital ATK has already begun the process of evolving Cygnus beyond low earth orbit with the completion of Next Space Technologies for Exploration Partnerships (NextSTEP) Phase 1. 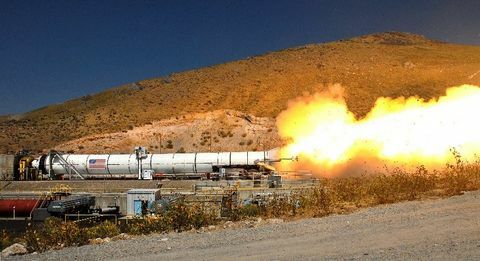 For this initiative, NASA asked companies to conduct concept studies and explore technology needed for deep space exploration. To help achieve this goal, Orbital ATK has turned its attention to the demonstrated versatility of the Cygnus module. 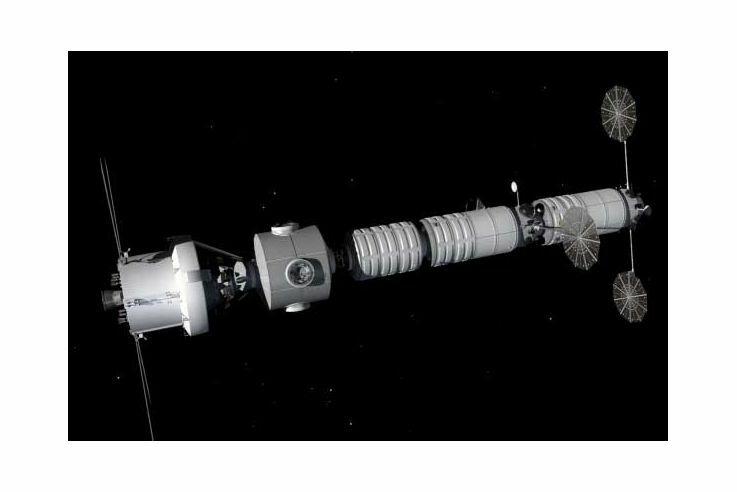 As part of the plan to utilize Cygnus for deep space exploration, Orbital ATK could launch an initial habitat module aboard NASA's heavy lift Space Launch System (SLS) rocket with a crewed Orion capsule. This mission would serve to prove out the Orion capsule and deploy the initial habitat in cislunar space. When Orion and the crew return to Earth, the module would remain, operating autonomously, acting as a platform for experiments and serving as a destination for future crewed missions. Eventually, additional modules would be added to the habitat. Logistics modules would deliver crew supplies and experiments and serve as a disposal vehicle at the end of their missions. 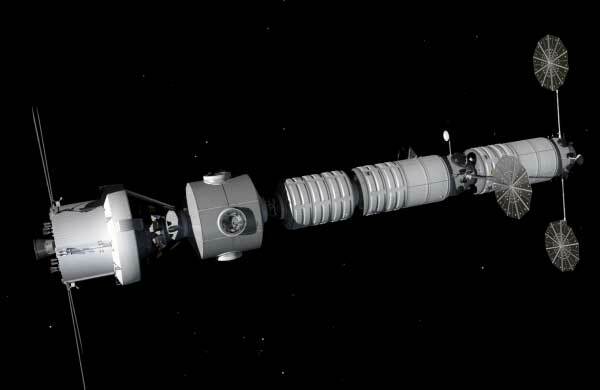 The modularity of the system allows for additional segments, including a node to provide additional docking ports to allow for multiple visiting vehicles. Ultimately, crewed missions would help mature technologies for long duration human space exploration, including a trip to Mars. 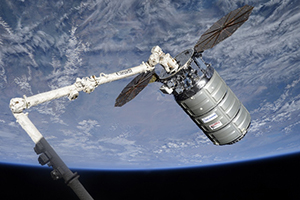 Just as the space station relies on international cooperation to enable scientific discoveries and technological advancements, Orbital ATK’s international partnership with Thales Alenia Space provides the foundation for both the recent and future achievements of the Cygnus spacecraft.